At Waitrose & Partners we always strive to bring you the finest products from caring, quality suppliers, so we’re delighted to be working in partnership with Monster Pet Supplies. Monster Pet Supplies is the friendly online pet store that helps busy pet owners get exactly what they need to make their pets happy. 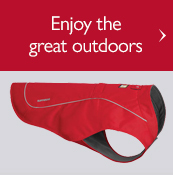 Whether you're feeding a great big appetite or the most sensitive of stomachs, if you like to harness up and head for the hills or prefer a stroll round the park, the right products for your pet will make all the difference. Monster Pet Supplies offer the things they know pet owners want and they work hard so that you won't be overwhelmed with choice. Monster Pet Supplies was founded in 2009, and is based in Leeds. 1. 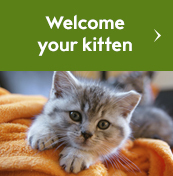 As Waitrose.com, Cellar, Florist, Gifts, Garden and Pet are individual websites, you’ll need a separate login for each. 2. You won’t be able to add Pet items to your grocery order on Waitrose.com, or to your basket on Cellar, Florist, Gifts and Garden as these are separate websites and you’ll need to create an individual basket for each. We understand that getting your items to you quickly is really important, so we make every effort to process your order as fast as possible. 1. What are your delivery charges? 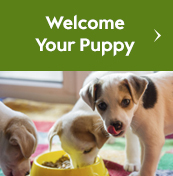 Pet by Waitrose & Partners offers FREE delivery on orders of £40 or more and FREE Click & Collect on orders of £40 or more. Our pre 12.00pm next working day delivery service is available for £9.95, subject to stock availability. There is a delivery charge of £3.95 for orders under £40. 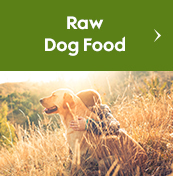 For orders of Frozen Raw Food below £40 there will be a Frozen Delivery charge of £5.95. These items will be delivered separately from the rest of your order by our trusted partner to ensure it remains frozen all the way to your freezer. All frozen food orders will need to be signed for so that we can ensure they stay perfectly frozen. If you submitted the wrong delivery address by accident the Pet by Waitrose & Partners team on 0345 032 8002 (we are open Monday to Friday 9am - 6pm). We’d be happy to help you amend your order. 3. Do you ship internationally, i.e. outside the UK? 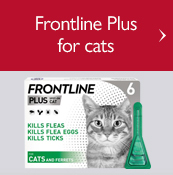 Pet by Waitrose & Partners operates in the UK only and is not currently equipped to deliver abroad. The size and weight of your order determines how we deliver it and whether we will receive a tracking number. If we have a tracking number for your order you will be able to see it on the email we send you to confirm when your order has left our warehouse and within My Account. If you are using our Click & Collect service you will receive an email notification when your order has left our warehouse which will confirm your collection date. After this you won’t receive any more emails or text messages for your order. 5. Will I have to sign for my package? During checkout you will be given the choice of signing for your delivery or opting to have it left in a safe place. If you don't have a tracking number you won't be expected to sign for your order. You can check this in My Account. An estimated collection date will be displayed in the basket once all your items have been added. You will then receive an email notification when your order has left our warehouse which will confirm when your order will be ready to collect. After this you won’t receive any more emails or text messages for your order. Simply present your payment card, photo ID and show a copy of your confirmation email to collect your items. For your protection against fraud, we cannot release your purchase without seeing your payment card. If someone is collecting on your behalf they must have a copy of your confirmation email and their own photo ID. If your chosen payment method is PayPal, you will need to show a form of photo ID along with your order confirmation on collection. 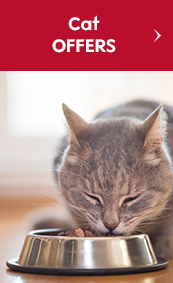 Most pet owners find they need to repeat their pet food order on a monthly basis. The Pet by Waitrose & Partners repeat delivery service allows you schedule your order to repeat at a frequency of your choosing. 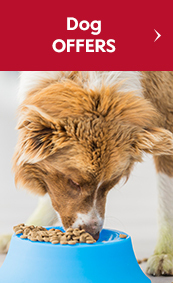 We'll repeatedly deliver your monthly pet food order and any other essential items you need on a regular basis. Always making sure you get the best deal advertised on the day, so there’s no need to shop around. 1. How do I set up a repeat delivery? Choose the frequency of your repeat delivery e.g. every one, every two months etc. 2. Can I change the frequency of my repeat delivery? Yes, you can view your scheduled delivery from your my account page where you will be given the option to change the frequency of your delivery. Pet by Waitrose & Partners understand that the safety of your personal information is extremely important. We use all the security tools at our disposal to protect your personal data and your credit card information from unauthorised access. Please note: We do not currently accept payment from Amex, Maestro, American Express, Solo or Waitrose and John Lewis gift vouchers and gift cards. 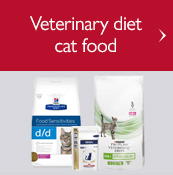 If you have any further questions or if you would prefer to place your order over the phone call the Pet by Waitrose & Partners team on 0345 032 8002 or email customerservices@waitrosepet.com. We’ll be only too pleased to hear from you. We're open Monday to Friday 9am - 6pm.